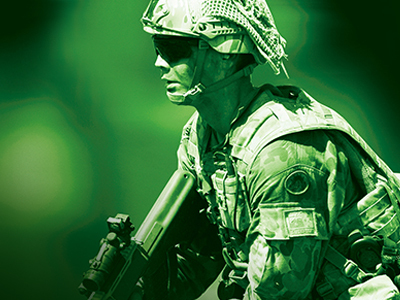 Defence Science and Technology Group (DST) will host the 4th International Congress on Soldiers' Physical Performance (ICSPP) between 28 November and 1 December at the Melbourne Convention and Exhibition Centre. Dr Dan Billing and Dr Jace Drain, from Land Division will co-chair the 4th ICSPP. The ICSPP is the most important international conference in applied military human performance research and therefore attracts experts from all over the world. The congress covers a broad range of disciplines including physical training programs and adaptations, occupational and physical performance, testing and assessment, injury prevention, public health and health promotion, nutritional considerations, human factors, ergonomics, equipment design, biomechanics, load carriage, gender integration issues, thermoregulation and environmental issues, deployment considerations, and psychological and cognitive factors. The 4th ICSPP will apply a lifecycle theme whereby symposia, poster sessions and featured science sessions by international experts will be organized across key areas including recruitment, training, operational deployment and sustainment.